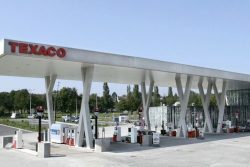 The Dutch company LIQAL has been awarded a contract for turnkey realization of a refuelling station for LNG and LCNG, to be located at the Texaco service station adjacent the E40 highway in Heverlee, Belgium. The station will be deployed by Drive Systems in cooperation with EG Group (Texaco). Drive Systems is a leading natural gas fuel station operator in Belgium. As Belgian policy supports the replacement of diesel to clean transport fuels, more and more vehicle owners and haulage companies make the switch to clean and affordable CNG and LNG. Drive Systems anticipated to this trend by building Belgium’s first ever LCNG filling station that started operation in 2014. With the realization of this new fuelling facility in Heverlee, which is the first highway site for LNG in North-West Europe, Drive Systems has another first. The development is receiving funding from the EU through its Connecting Europe Facility (CEF) program. “This support was very welcome, as the number of vehicles on LNG or CNG is still low, for now. This initiative shows the commitment of the European Commission to roll out alternative fuel infrastructure along the main corridors” says Philippe Desrumaux, Director of Drive Systems. He adds “LIQAL’s integrated approach – from design, production and realisation onsite, including the technical operation of the station was the deciding factor for contracting LIQAL. Moreover, they are able to deliver the station within the challenging timeframe as requested by us”. Transport company Ninatrans, a Belgian pioneer in LNG powered transport since 2015, will be a launching customer for the station. “Alternative fuels as LNG are the future for road transport, but they must be easily accessible” says Benny Smets, CEO of Ninatrans. “The LNG station at the Texaco site on the E40 highway, close to our HQ, perfectly fits in our strategy to decarbonise activities. We decided to order 10 additional LNG trucks, and more units will be added as we replace the older diesel trucks”. The innovative and cost-effective publicly accessible LCNG fuel station will be inaugurated in the first quarter of 2019. Joost Jansen, Business Development Manager at LIQAL states “We are delighted that yet another station operator acknowledges the benefits of our technology and integrated approach. It is great to be given the opportunity to build this new highway location. With the addition of this site in Heverlee, being LIQAL’s fifth Belgian fuelling facility, we further strengthen our leading position in North West Europe”. The station, which will be integrated into the existing Texaco full service station, will have an LNG storage capacity of 80,000 litres, a dispenser to supply LNG to trucks and two LCNG dispensers to serve compressed natural gas-powered vehicles at both the north- and the south side of the E-40 highway. In addition, the site will have a dedicated dispenser to fill up CNG tube-trailers for CNG daughter stations operated by Drive systems. In order to ensure robust and reliable operation, LIQAL included features like its advanced online monitoring- and trending system, MID-certified LNG fuel dispenser with heated and purged nozzle docking bay and on-the-fly saturation in its proprietary station design. The station consists of standardized, prefabricated systems in order to keep project investment costs and lead time for onsite erection to a minimum. LIQAL, a member of NGVA Europe, is specialised in design, engineering, production and turnkey realisation of complete fuelling systems and fuel dispensers for LNG and hydrogen. In addition, the company has patented micro liquefaction technology to automatically control the conditions in LNG storage tanks and to convert natural gas and biomethane into (Bio) LNG. For more information: www.liqal.com.